Monitor weather conditions in your area or those of loved-ones with location-based alerts for the U.S. and its territories from the National Oceanic and Atmospheric Administration(NOAA). Empower your family to stay safe and remain calm in an emergency by learning how to make and practice an emergency plan. RxShortages is designed to help health care providers access information about drug shortages quickly and easily. We are happy to announce that a portion of our current & future proceeds will go to the Red Cross to help out those in need. Get the best storm coverage & support those in need! 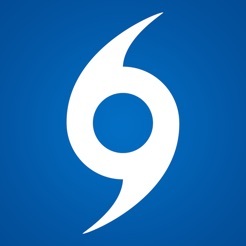 Get the most COMPREHENSIVE & popular Hurricane App! Complete tracking with Fast PUSH Alerts, Audio & Video Updates, Dozens of maps, Detailed Written Discussions, Real Time Live Updates & Threat Level Maps – On the fly changes! No other app can MATCH! Delivering minute by minute information! Also, we’ve just added the 0Z & 12Z GFS/ECMWF/CMC/GFDL model runs (4 major models) so you can track storms like the pros do! OK, so lets keep this description as short as possible because who reads an app description anyways? WHAT DOES HT INCLUDE: Well, we are proud of our offerings and we can HONESTLY say no other Hurricane app gives you so much data! Complete tracking maps, everything from the NHC, exhaustive invest (Tropical Wave) info, NOAA Weather Radio, forecaster Audio/Video updates, real time feed (as it’s happening) & detailed Push Alerts for: New storms, TS/Hurricane warnings & other changes. Storm history, checklists, over 65 images & animated maps and much more! Check for yourself, every other Hurricane app is not ANYWHERE near as comprehensive as Hurricane Tracker! Everything you need to track a storm is included (probably more than you need). Also, available for iPhone/iPod Touch! DISCLAIMER: Our unique forecasts & audio/video storm updates are NOT the official forecast and should not be used as such. Always follow official information from the NHC. iPhone/Ipad (Free) The brightest, fastest, and most handy flashlight you will ever have! The one you will never forget to bring when in need! Besides, it is designed to support all android devices! iPhone/Ipad (Free) Hands-Only CPR from the American Heart Association. Save a life in two steps. This application will teach you how to perform Hands-Only CPR through video instruction. Android (Free) Listen to police and fire departments and NOAA weather of your region on your phone. Listen to live audio of fire scanners, weather radios, and amateur radio repeaters from the United States. Browse thru all the available NOAA weather radio channels. Disable ads is easy and THIS APP IS FREE. iPhone/Ipad (Free) Family Locator by Life360 is the most accurate and powerful locator service. With over 20 million users, Life360 Family Locator is the leader in mobile family safety. Integrating the best GPS tracking technology with our proprietary messaging platform, we’ve been featured by Fox News, The Huffington Post, The Wall Street Journal, Time magazine and ABC News. Life360 is the most powerful, accurate, and battery-efficient family locator available. Life360 Family Locator is the only locator application that is also compatible with regular phones, so you can locate family members who don’t have smartphones. Bonus: Life360 Family Locator also comes with our free FamilyChannel™ group messaging service, a perfect replacement for expensive text messaging plans. Life360 Family Locator has been instrumental in reconnecting families after real world emergencies such as the Japanese tsunami in March 2011 and devastating floods and tornadoes that hit the United States in May 2011. Users have also reported success in tracking stolen phones. iPhone/Ipad (Free) Keep up with friends, wherever you are with the Facebook. 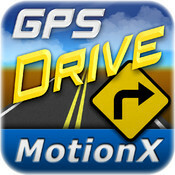 Fast easy download from your iPhone or iPad! Complete U.S. and Canada Coverage. After the 30 day period, continue using real-time navigation any time by making an in-app purchase. Choose either 30-days or 1-year. Please note the core application provides a great driving experience without any further purchase, including full access to search, routing, 3D maps, and pedestrian navigation tools. USAA gives you immediate and secure account access from your mobile device.USAA mobile gives you immediate and secure account access from your mobile device.